There is really nothing else on earth like shilajit. Shilajit is an “exudate” that oozes out of cracks in the Himalayan rocks and cliffs in the summer months. It is composed of organic plant material that is thought to have been compressed by rock for thousands, of years. After it is collected, it is naturally purified and processed into a potent, high-quality extract. 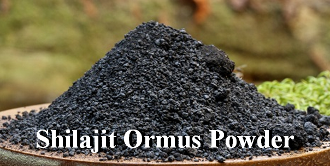 Shilajit is extremely rich in plant-source ‘organic’ minerals. Most assays show that shilajit, depending on its source, contains between 70 and 85 complexed minerals and trace elements. Shilajit is a humic substance, humus being the natural material that is formed when soil microorganisms decompose animal and plant material into elements usable by plants. Shilajit is astoundingly rich in nutrients, antioxidants, amino acids, and anti-bacterial, anti-viral and anti-fungal phytochemicals. The main active component in shilajit, to our knowledge, are macromolecules known as fulvic acids. Shilajit is extremely rich in fulvic acids. Fulvic acids are one of nature’s most astounding and miraculous molecular substances, perhaps rivaling DNA in its importance to life on this planet. Scientists know a lot about fulvic acids and their colloidal nature. But what is not known about fulvic acids and colloids is far greater. Fulvic acids are huge molecules with the “average” chemical formula of C135H182O95N5S2. Fulvic acids are one of the largest classes of dissolved organic matter, but from a scientific point of view, they are poorly defined and of unclear origin. All fulvic acids studied show the same pattern in the elemental composition of their molecules and a large similarity in the molecular sets. It is thought that the elemental and structural regularity of fulvic acid molecules does not indicate one common precursor material and formation process, but that their regularity is due to both the strong reworking of source materials in the environment and the valency of the three elements (C, H, O) from which most fulvic acid molecules are formed. Valency is the power of an atom or radical to combine with other atoms measured by the number of electrons which an atom will give, take, or share to form a chemical bond; thus valency is a measure of the reactivity of an element or active molecule. Poly-carboxylic acids with very limited number of hydroxy groups are the major compound class in fulvic acid isolates. It appears that fulvic acids are metastable molecules that characterize a state of transition of diverse precursor compounds during their oxidation. Himalayan shilajit is believed to contain a unique range of fulvic acids, which over the period of human history, has been discovered to have specific health benefits to humans. This is probably a result of the specific chemical nature of the special physical conditions and forces, and the rocks and biological materials from which it was created. Colloids are often called a “fourth state of matter” (the other three states being gas, liquid and solid). Colloids are microscopic particles suspended in some sort of liquid medium. The particles are between one nanometer (1 nm) and one micrometer (1 μm) in size and can be macromolecules (such as fulvic acid). Thus colloids are particles larger than molecules, but smaller than grains of sand. Mere size, however, is not the important thing about colloids. The overwhelmingly important property of colloids is that they have a very large surface area. To some degree, they are all surface and their properties are those of their surfaces. This is highly significant in the biological world. Within bodily and cellular fluids, and as part of the fulvic acid complex, minerals become organic. In this form, minerals are safe. As such, they are perfectly bioactive and bioavailable in living tissue. Fulvic acid then delivers these living essences to the cells. Fulvic acid assists every stage of cellular metabolism. It is thus a quintessential Qi tonic, a substance that improves human vitality. One of the main functions of fulvic acid in nature is to neutralize toxins, which is a primary traditional herbal function attributed to shilajit. In fact, shilajit is nature’s great detoxifier. Fulvic acid has the ability to neutralize free radicals throughout the body and to detoxify simple toxins and complex organic toxins. This is due to its huge surface area and enormous total valence. Shilajit is traditionally considered to be a strong kidney tonic. From a Chinese perspective, it is a superb Jing tonic, since it increases the primal energy responsible for sexual and spiritual power. Why Take Shilajit as a Supplement? Shilajit is not readily explained by routine chemical analysis. Fulvic acid itself is almost infinitely complex. Shilajit has always been considered an alchemical substance with life giving powers beyond comprehension. Currently, scientists are exploring the idea that fulvic acid, and shilajit, functions as a unique “messaging relay system” that is activated when it comes into contact with living organisms. Because of the amazing complexity of the molecule, with its many attached molecules, fulvic acid can pass on unique information relating to environmental conditions and immunity. It plays a huge role in the adaptability of plants (all plants utilize the fulvic acid in humus), and most likely the same is true in humans. It has been asserted that fulvic acid assists in activating protective responses in the body that are able to be replicated, and remain with the organism for life, even with just one contact. 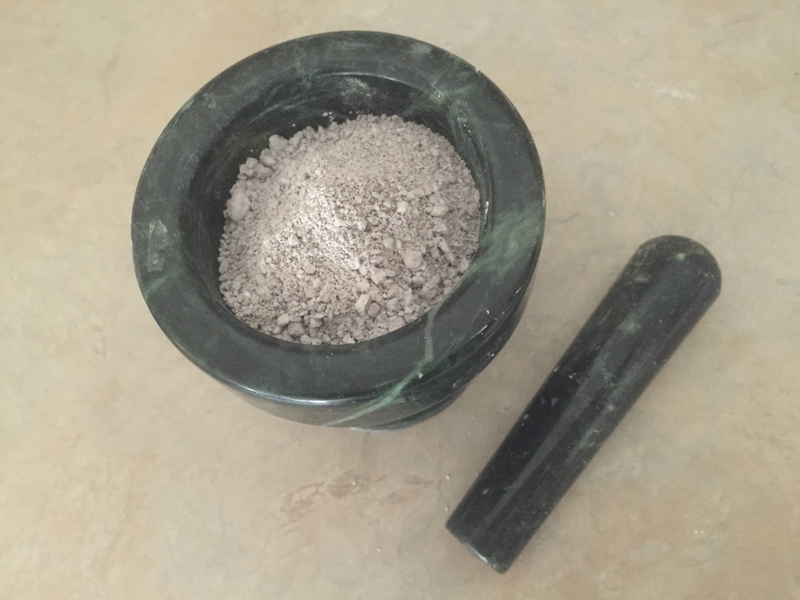 To make this I took shilajit powder, aetherically charged negative ion water, and added Organic Dolomite Lime to preform the John Hudson WPG method. After 7 washes and drying it out it, it turned into an off white powder that is full of benifical goodies.